March is ending and National Athletic Training Month (NATM) has come and gone for another year. As NATM ends, Youth Sports Safety Month (YSSM) begins. This awareness focus provides a continued opportunity to help youth and adolescents participate in sports safely. NATM focused on appropriate medical coverage and care for athletes by advocating for athletic trainers, particularly at secondary schools, while YSSM provides a broader focus in youth sports safety. One organization working to promote YSSM is the Sports Trauma and Overuse Prevention Sports Injuries campaign. Better known as STOP Sports Injuries, an initiative started by the American Orthopedic Society for Sports Medicine and other key groups in 2007, has worked to prevent injuries of all kinds in young athletes. To learn more about what STOP Sports Injuries is doing to promote YSSM, check out THIS link. The group is encouraging everyone to get involved in YSSM by holding your own event, getting involved in their photo contest and participating in their sports safety tweet chats. Chats are scheduled for April 10th and April 24th. You can get involved at #SportsSafety, check out their twitter page for more information. These chats are great ways to connect with experts and other parents who are concerned about protecting their children. STOP Sports Injuries is also great for expanding the ideas of safety and prevention beyond the traumatic (and potentially catastrophic) concerns of concussions, exertional heat illness, and sudden cardiac arrest (SCA). They have resources that bring attention to minimizing overuse injuries in youth athletes, female athlete triad, and sports nutrition as well. Resources are available based on specific sports, specific issues and for specific stakeholders ranging from parents, athletes, coaches, and health care providers. For more information, check out the Sports Injury Prevention section of their website. 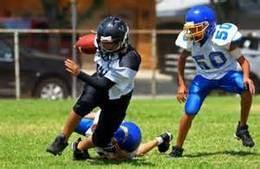 STOP Sports Injuries is not the only group does work regularly to make youth sports safer on some level. If you are a regular reader of this blog, you know A4IA continues to work to educate high school athletes through the ASA® program and other public advocacy. The continued focus on youth sports safety should continue to educate us all on how we can allow children to take advantage of the positives that come from participating in sports while minimizing the negatives of chronic injuries and the potential for long-term disability. According to recent information published by the American Academy of Orthopedic Surgeons (AAOS) the awareness and education is beginning to have a positive effect; for athletes between the age of 5 and 14, sports injuries decreased 12% between 2000 and 2010. This list is not an all-inclusive list of professional organizations and non-profits that have had some role in improving youth sports safety, but it is a sampling of some of the major national organizations. As always, you are encouraged to get involved in your local community with your local organizations. With a little help from the Internet, you may find there is a non-profit in your area that is working to improve safety in one way or another. If you find something, find a way to get involved and make a change in your community.